Adobo is a Filipino dish of which every Filipino family has a recipe. The basic recipe calls for cooking meat or vegetable in soy, vinegar, garlic, and pepper. The way I cook my adobo is a cross between how my Papa cooked it and how my father-in-law prepared his. I love adobo for its versatility. 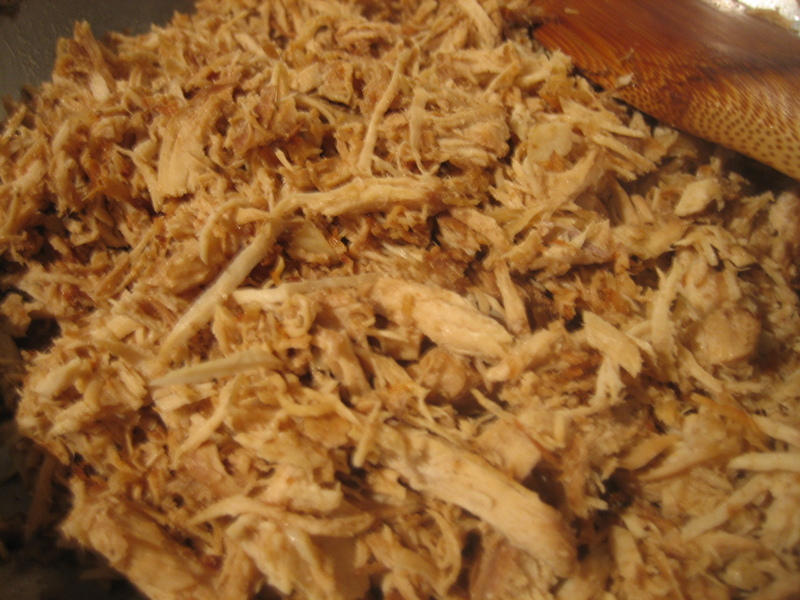 Leftovers are used for adobo rice, omelet, or as filling in bread dough. My kids simply love the salty-sour-aioli taste. They eat adobo either with sauce, or dry and crispy. In Manila where I grew up, we always ate adobo with boiled monggo (mung beans). My children are not huge monggo fans, so I serve radish, their favorite, as a side dish instead. They have no problem consuming a whole platter of brown rice with this combination. Now the new tradition in my household is crispy adobo with labanos (radish) doused with vinegar and a pinch of salt. 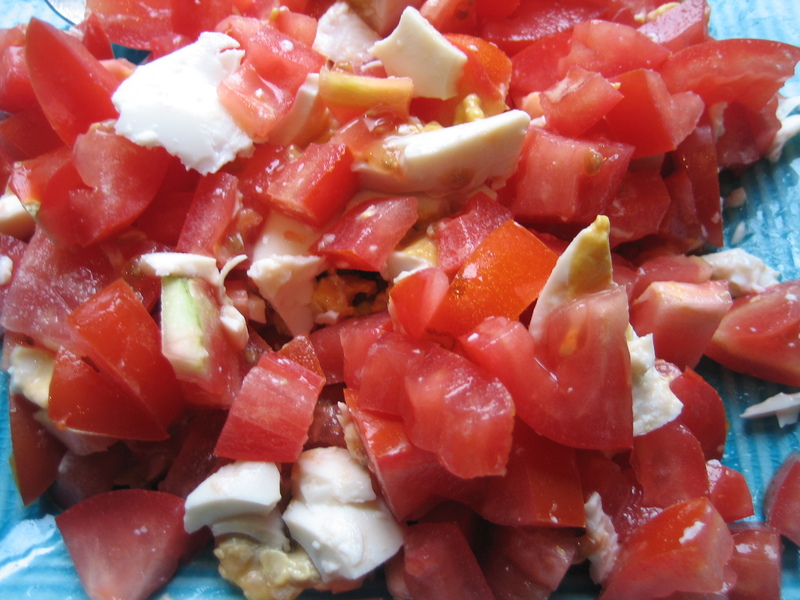 Tomatoes, chopped cilantro, and salted egg is also an alternative side dish. Combine all ingredients in a pot. Simmer until the chicken breast is fully cooked, about 20 minutes. Remove the chicken breast and save the adobo sauce. Using 2 forks, flake the meat. In a different pan, put oil and brown chopped garlic with chicken flakes. Put the pan in a broiler oven to make the meat dry and crispy. Serve the the adobo dry with sauce on the side. Posted in Filipino Recipe and tagged adobo, cane vinegar, cooking, filipino dish, food, salted egg, tomatoes. Bookmark the permalink.